In Bluffdale, The Dirt Bag delivers bagged garden soil, mulch, compost and other high-quality landscape materials at no cost. Our materials are not only convenient but surprisingly affordable – especially when you consider the exacting standards we’re known for at The Dirt Bag. And, if you need more than just a few cubic yards of topsoil, sand, gravel or other products, we also offer bulk delivery service in Bluffdale and throughout northern Utah. In addition to our landscape materials, we are also known for our exceptional Kentucky Bluegrass turf. When you need sod, soil, mulch and more, this is one Dirt Bag we promise you’re going to love. Throughout the Intermountain West, we are known for our bagged landscape materials, delivered free to our customers in Bluffdale and the surrounding communities of Salt Lake County. 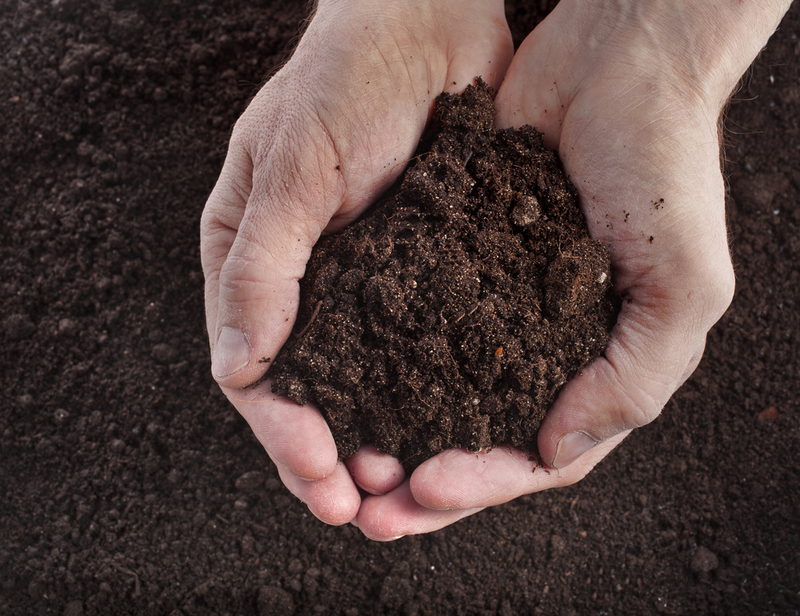 You won’t find better quality than our exclusive Garden Soil Plus, organic compost and mulch. You can also select play sand, soil conditioner, topsoil, wood chips and more. Our products are also affordably priced, making them a high-quality bargain. But we think you may love the convenience of The Dirt Bag products most of all. We deliver your one-cubic-yard Dirt Bags directly to your location and unload them in the spot you designate – for no charge! This means no more fighting the home improvement warehouse or garden center traffic. You’ll ever again have to break your back, loading and unloading bags of dirt and mulch. You’ll save time, money and gas, and your back will thank you tomorrow. As convenient as our bagged products are, sometimes you just need more materials to get the job done. That’s why we also offer bulk delivery of topsoil, garden soil, mulch, compost and our other high-quality landscaping materials throughout northern Utah. For delivery to your Bluffdale home or business, call our office and let us know what you need. Or you can stop by our location to take a look and place your order in person. Are you ready to have the greenest, lushest lawn in your neighborhood? You’ll be the envy of every neighbor when you install The Dirt Bag’s Kentucky bluegrass sod, cultivated specifically for use in northern Utah’s demanding climate. Our native sod is locally grown and harvested, so it arrives to you fresh and ready to lay. Our minimum order is just four pallets (about 2,100 square feet), and you can pick it up from us directly. Or, if you’d like us to deliver, we can do so for a nominal charge and, if you order 10,000 square feet or more. We will provide complimentary delivery within Salt Lake County – including your Bluffdale location. Remember The Dirt Bag whenever you need high-quality bagged or bulk delivery of landscaping materials in Bluffdale, including topsoil, garden soil, compost and mulch.